Salt dough is a fabulous, quick and easy clay-type material to make at home or in the classroom with kids, but one of the big drawbacks is the time that it takes to dry especially if you dry in the oven or air dry the clay. 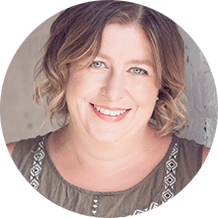 If you’re working with a time-limit like a class schedule or with impatient toddlers and preschoolers then that wait time can be unbearable. Good news! 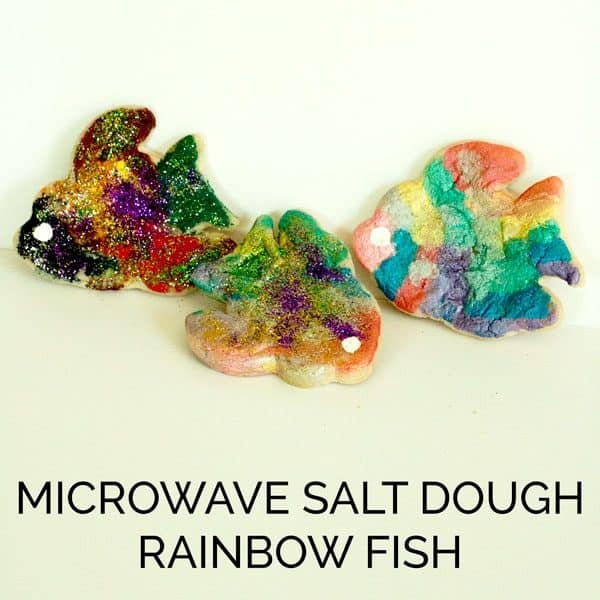 With a slight adaption to the typical salt dough recipe, you can dry it in the microwave which means instead of hours to create your salt dough decorations or some dinosaur fossil they can be done within a matter of minutes. 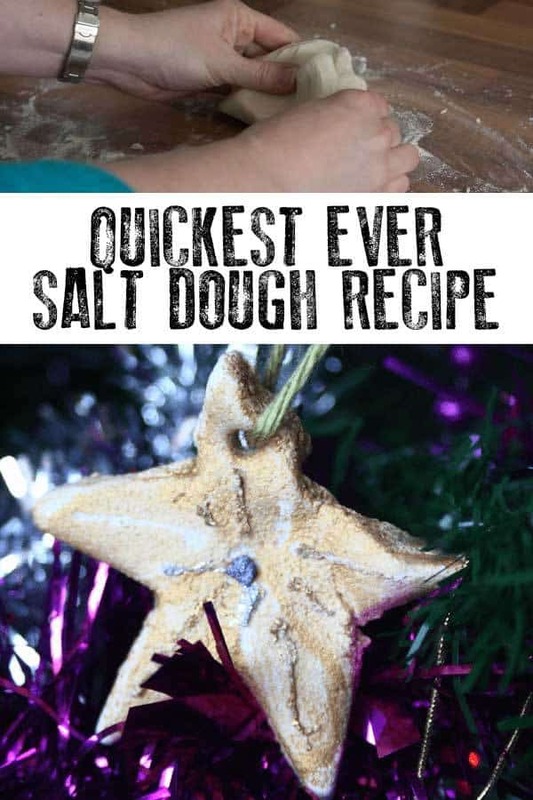 Follow these instructions carefully and in 3 – 4 minutes you will have solid salt dough ready to decorate as you wish. When I first published this quickest ever salt dough recipe (November 2012) our microwave was 10 years old. We’ve since replaced the microwave, and I’ve adapted this recipe so that it works in our new “FAST” microwave. Instead of taking 3 minutes, some of the decorations we’ve made this year have taken all of 90 seconds to bake and be ready to decorate. 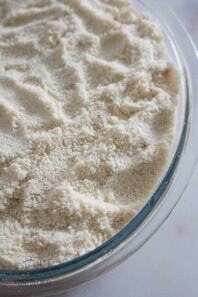 If you want to make air dryed salt dough then why not try our classic recipe for salt dough. Add the 1/2 cup of salt and 1 cup of flour to a bowl, and stir in the water adding it slowly. You want the dough to be dry. If it gets sticky add more flour. Knead the dough and then roll out and use as you want. Once you have made the shapes you want then you need to dry them so you can paint them. Traditionally salt dough is dried in the oven which takes about 3 hours at a low heat so they don’t burn. But instead, you can swap your oven for a microwave and zap them! Looking for how to make white salt dough try this no salt version which produces perfectly white dough. When you zap the salt dough in the microwave take it 10 seconds at a time. 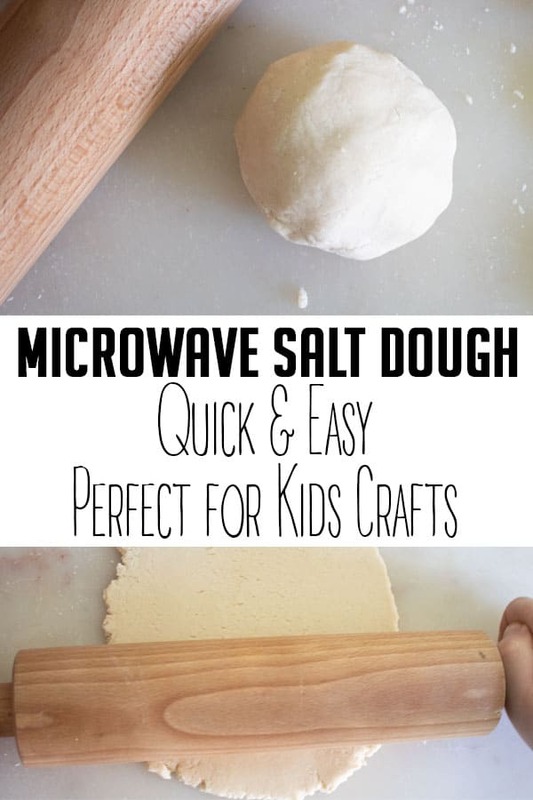 Place the salt dough on a microwaveable plate. Keep doing 10 seconds at a time until the salt dough is dried. Because each microwave is different and even your salt dough will be slightly different than mine. Water softness, as well as the brands of salt and flour that we use, can make a difference. Also, the thickness of our ornaments will be different. Microwaving for 10 seconds and checking means that you can avoid over-cooking, which can cause the salt dough to bubble or smoke to fill your kitchen! If, after 3 minutes, they are still a little wet then just put them back in for 10-second increments until they’re done. Let them cool, and then paint. Try our Gingerbread Scented Salt Dough Recipe Ideal for making Gingerbread Men Ornaments for the Christmas Tree. Did you know that you can colour salt dough – why not use some food colouring to quickly colour without getting out the paints. These Wilton Gels work really well and unlike liquid food colours which dilute the mix and you have to end up adding more flour. If you don’t colour the salt dough prior to drying then the ONLY paint that lasts, protects the salt dough and doesn’t sink into the salt dough are Acrylic Paints. These are great to mix and paint with (but don’t forget to stock up on Paint Brushes because if your kids are anything like mine they will forget to wash the brushes out and acrylic doesn’t remove easily). Is your Salt Dough Puffing up? Want to know how you can store salt dough or whether it will air dry we have all of these questions answered on our Salt Dough Questions Answered article. Oh thank you for that – I shall give this a try. Love saltdough!! 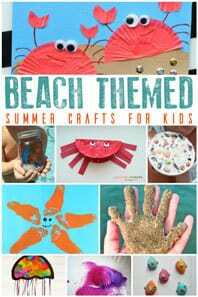 Great for kids and great for ornaments! I love this recipe and especially since you can dry in the microwave! Great tip! Only we don’t have a microwave,lol. I’m very happy to know I can put it in the MW to have it dry quicker. Thanks! This is awesome thanks for sharing, this is a huge help in the past we’ve always either moulded or painted as I can never keeps the boys attention long enough to do both. Who knew you could microwave it! Off to pin. Thanks. Tried this just now and it’s great, so fast and easy. My toddler really enjoyed it. Thank you! Love this! 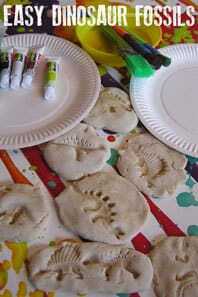 Made decorations for our Christmas tree and made salt dough handprints to hang on the tree. All my boys loved it, the 2 14year olds and the 2year old. Great activity for them all to do together, thanks! We just made these yesterday. I did the oven thing over nap time, but the microwave is worth a shot next time!! This worked fine – until we made 3D snowmen… which exploded and then caught fire. Worked really well for thin/2D shapes, not so much for 3D shapes! Salt dough is not successful being microwaved and this is not just something I am telling you but something which has been proven and written about in books too. The dough rises and whilst on the outside looks puffy and cooked inside it is usually split apart and not cooked. I would recommend baking it properly or putting it on trays in the sunshine in the summer months to dry through. Clearly if you only are making things which are not works of art you might want to still try them in the microwave but I don’t bother but dry them in the oven low or outside. Thanks You!!! You just saved my life with this recipe! We were supposed to make these tonight with a group of Young Women. Needless to say it was dumped on me at the last min. When I started searching… I saw a minimum of 2 hour bake time! We have 1 hour to be done. But the microwave once again saves the day! Great recipe! I used less water and so that they did not break or burn I microwaved for three minutes the first time, and one minute intervals after that. 30 seconds in the microwave left me with lots of smoke a black puffed up cinder… Don’t know if ill ever get the smell out of here. Wow. 3 minutes WAAAAY too long in my microwave. Sat down to nurse youngest and house filled with smoke. eek. I guess this is super dependent on microwave wattage. oh I do remember making salt dough when I was little. wonderful that you can now do this with a microwave, I’d never have worked it out for myself even though it’s actually totally sensibl! just made these for my mum for Mother’s Day! Love this recipe! Just did this…. and the microwave just billowed with smoke! 2 frightened children here, thanks a lot!! Never knew you could dry salt dough in the microwave! 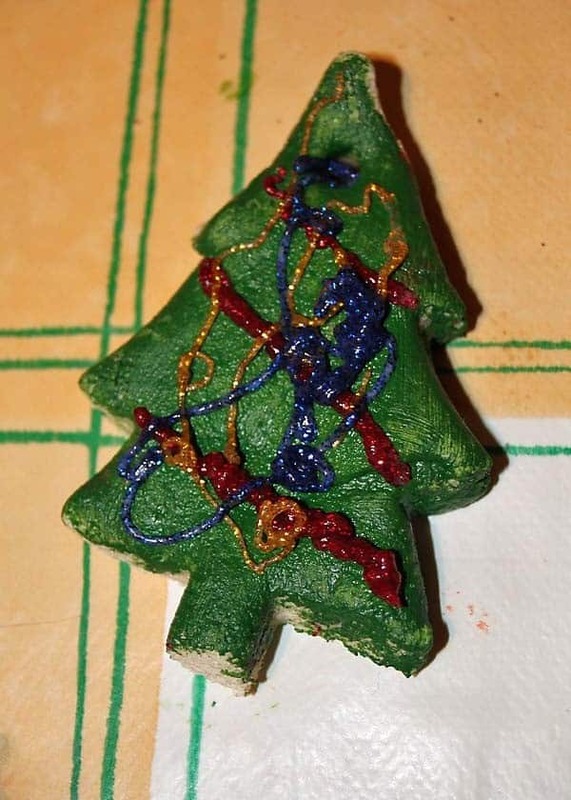 We made ornaments a few days ago and they still havent air dried- into the microwave this morning to take home today! Thank you for such a fab tip! I used this recipe and it worked great, although I put it in for three minutes and after 2 minutes it was starting to burn. The next lot i just went for 30 seconds at a time which worked great!! Did this recipe out of desperation for something to do…..only had SR flour in cupboard, so my shapes ended up a bit bigger!!!! But it still worked a treat. Microwave dries out dough in the same way as defrosting bread for too long in the microwave….rubbery, then rock-hard! Had trouble trying to persuade my 3 year oldnot to eat them. I did not realize you could nuke the salt dough and save so much time! I totally just passed this post on! Thanks, Cerys! Ok, so if you were having the same burning problem as me, read on. I have found a solution! Microwave it for 1 minute, and pause the microwave every 20 seconds. That will prevent them from expanding and becoming distorted. It will still harden, and it takes even LESS time! I just tried microwaving a small batch of salt dough beads. My microwave is pretty high temp so I gave it 2 mins. That worked out perfect – the beads were approx 1″ big. They took over an hour in the oven. I’ll be (carefully) microwaving from now on! I have tried this lots of times and love this recipe. I always make sure the plate is full of our creations and the are normally between 5-10mm thick. I have used my microwave oven several times for my salt dough projects. The only time that I burned my salt dough was when I set it at a medium low temp for 4 minutes straight. The next time, I set it at low 2-3 minutes interval, switching it on at around 3-5 more times depending on the item.I had to turn the other side everytime.So convinient. Dough recipe was perfect; I’m a speech therapist and I used it with my kids as a sequencing activity to accompany the Gingerbread Man story. Microwaving also worked great for the first 4 cookies I tried…but I would recommend letting your microwave rest before trying the 5th batch, because I definitely started a small fire in the teacher’s lounge. Everything turned out okay, but I think it’s safe to say I ruined parent-teacher conference day. Whoops. I mixed Allspice into the dough and am using my dehydrator to dry them!! Eish! DO NOT MICROWAVE! My microwave caught on fire. The call to the insurance people tomoro is going to be very embarrassing. Nice idea i made it and my family loved it and we played with it!! Oh no! I wish I had read these comments before putting my kids’ works of art in the microwave. They became wrinked and puffed up. Quite upsetting really that they had spent so much time on these, getting them nice only to have them come out leathery and wrinkled. Author should perhaps put a disclaimer on to advise that this may ruin your kids’ craft!! 3 Minutes is far too long, it burnt. Try 30 second blasts until dry, about 3 or 4 blasts. Fantastic they turned out fab. You do need to keep an eye on them in microwave you cant just bung them in and leave them. I did this with my 2.5yr old daughter today and she loved it! We baked ours in our halogen oven, 10 minutes on 150c and they were perfect, slightly dark(NOT burnt just ever so slightly darker than if microwaved). Will be doing this again! i was searching for an emergency salt dough recipe and you came up tops on google, well done, you rescued me! I made this recipe, only I baked in the oven, and my kids’ handprints puffed all up instead of staying flat. What happened???? DO NOT DO MICROWAVE!!!!! Whole house smelt awful burnt the craft and the PLATE which was china. DO NOT!!!! I tried this before I used it in the classroom. I was so glad that I did. I checked the dough every ten seconds and finally it was 10 seconds too long. It burnt and billows of smoke came from the microwave. It was a disater and I was lucky I acted quickly so that the fire alarms didn’t go off. I’m sticking to the oven. Just made these last night with two busy toddlers. They turned out pretty well, we added cinnamon and nutmeg so the dough smelled nice. A couple rose too much in the middle but we reduced that by flipping the ornaments every so often as they microwaved. Really easy, and quick enough that I don’t mind if they turned out slightly lumpy. Gives them character, right? Thanks for sharing this recipe on your blog. I’ve used it to make salt-dough cookies with imprinted codes at my sons birthday party. You can see a picture here. I have mentioned you an your blog, and hope you appreciate. Keep the good work up! What a great idea, looking for something simple that my 3 year old can make for his Nana for mothers day. We’ve got some heart cookie cutters, perfect! FIRE HAZARD!!! TIME RECOMMENDED IS WAY TOO LONG FOR NEW MICROWAVES!! AUTHOR OF POST SHOULD REVISE HER ORIGINAL POST BECAUSE CHILDREN DON’T READ THE COMMENTS!!!!!!!!!!!! This did not work in the microwave! It puffed up and turned brown. I’d rather air dry them! I like the idea but it doesn’t seem safe, too many variables. Wish I had read the other comments before I did this. I was in a hurry. regular basis to obtain updated from newest news update. 3 minutes far too long, microwave and kitchen full of smoke. Took 2 mins and then 2 short blasts of 10 seconds. “When you zap the salt dough in the microwave take it 10 seconds at a time. Hello, quick question. I am a toddler teacher. 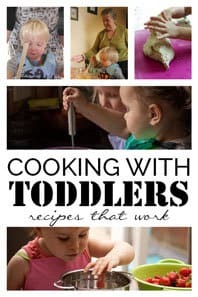 Would I be able to make the dough either with the kids or at home before-hand, make things with the kids later that day or the next day, and then take them home to bake? Would the dough last long enough? Thanks. It really cracks me up how many people did NOT follow your instructions and set fire to their kitchens. It plainly says “microwave at ten second intervals, if after three minutes it’s not dry continue to microwave at ten second intervals.” I’m off to try this lovely recipe. Thank you for sharing, and for my laugh of the day! Thank you so much for this recipe and microwave solution!!! It definitely worked as long as you do the 10 second increments. I don’t why the others didn’t read the instructions correctly and burnt everything. Thank you again and Merry Christmas! This is one of those gifts that keep giving. i say this because while i make the dough, my four year old granddaughter rolls the dough out ( with help) then she uses her cookie cutters to make the shapes. After the shapes are dry she gives them as gifts to other children, along with washable paint and markers. Then the child who gets them has a ton of fun with them. 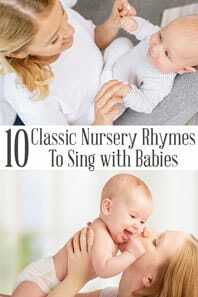 So much fun for parents and children alike. What an awesome gift to give to s child and another child to have fun with, from a child who had fun making them. its like the gift that keeps on giving? This is one of those gifts that keep giving. i say this because while i make the dough, my four year old granddaughter rolls the dough out ( with help) then she uses her cookie cutters to make the shapes. After the shapes are dry she gives them as gifts to other children, along with washable paint and markers. Then the child who gets them has a ton of fun with them. 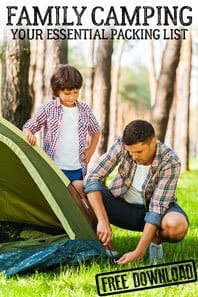 So much fun for parents and children alike. What an awesome gift to give to a child from a child who had fun making them. Just used the microwave salt dough recipe. It worked great! Kiddos made cookies for our pretend play area. Will definitely use again for other projects! Fantastic and what a great use for the salt dough recipe!